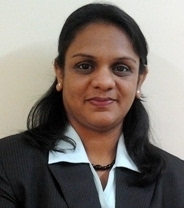 Mrs. Snehal Vichare is Business Head for Cambridge Global Partner for Indian operations. She has over 9 years of working experience with leading Indian multinationals like Citibank, Reliance, Trinity Academy and EABS. She was instrumental in setting up one of the most innovative Executive MBA program in Mumbai campus of EABS. She was one of the top performer during her stint with Citibank and she has received several accolades for her performance.